Sunday, July 7, 2019 1–3 p.m. This program is free for members and free with $5 admission for non-members (payable on the day of the program). 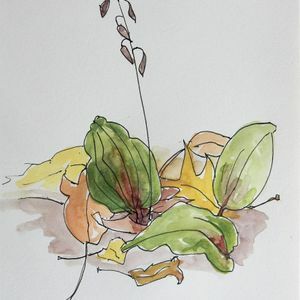 Led by fine artist and Maryland Master Naturalist Diane DuBois Mullaly, this monthly nature walk along the Arboretum trails allow stops for sketching in graphite, ink, or watercolor. Each walk will focus on what's in bloom, budding, or of interest along the paths.